Having better information than your opponents when you’re playing poker is essential to being a consistent winner. Any situation where you’re able to create a positive information gap between how much you know about how your opponent plays and what can possibly be in their range in any given situation, the greater your edge — and the more money you’re going to walk away with. 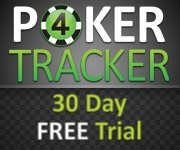 The PPPoker converter works with both Poker Tracker 4 and Holdem Manager 2, which means either your standard HUD from either of those programs or your customized one will appear once you fire it up. A heads-up display — HUD — is where all your stats are shown for individual players, as well as yourself, giving you insights into what exploitable habits they have. Do they open with too wide of a range? Do they fold too often to 3-bets? Do they 3-bet light? Your HUD will give you an idea of how best to answer these questions, as well as dozens of other essential issues that can make the difference between you being a winning player and you having to consistently re-deposit to keep playing. The PPPoker converter works with both PC versions and emulators, so you’ll never be left at the table without your HUD. This is especially important on sites such as PPPoker, where the player pool is really soft and diverse, making a HUD essential. Of course, PPPoker does have a built-in HUD. However, you have to pay a monthly fee for each account you have. This can add up fast for multi-tabling players, as they need to pay for a HUD account on each table. The PokerMasterHUD has converters developed for PPPoker and PokerMaster. However, the PokerMaster’s one isn’t supported at the moment, so you’ll want to check back in for updates. The EliteHUD has converters developed for PokerKing Asia, Mollys Poker (former PokerKingdom (former PokerLords) and HiPoker (former OhPOker, former Thirteen poker). So no matter which Asian Poker Apps you’re playing in, don’t be a fish and get felted just because you don’t have the right tools to play the most optimal poker against your opponents. 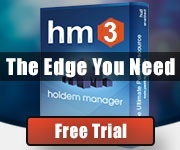 PokerMaster HUD allows tracking results of your play on PokerMaster in your favorite Holdem Manager 2 software. Now you’ll be able to review your hands, statistics, track your results, and run your favorite HUD setup with any stats you want. Install PokerMaster converter in less than 5 minutes according to this manual.